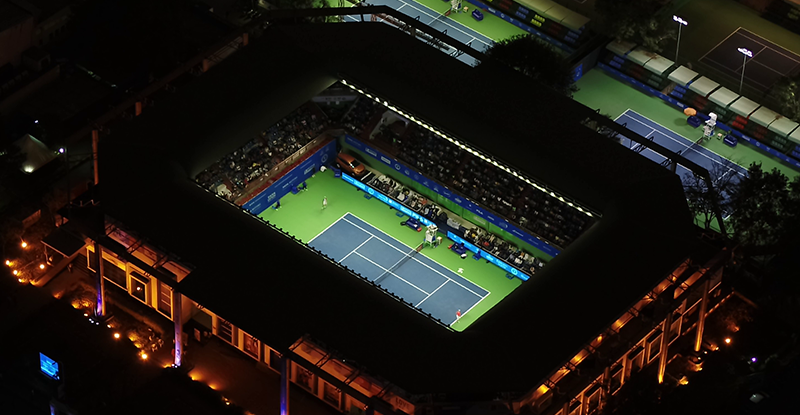 Day Four of the Tata Open Maharashtra saw the top-seeds progressing to the semi-finals stage. 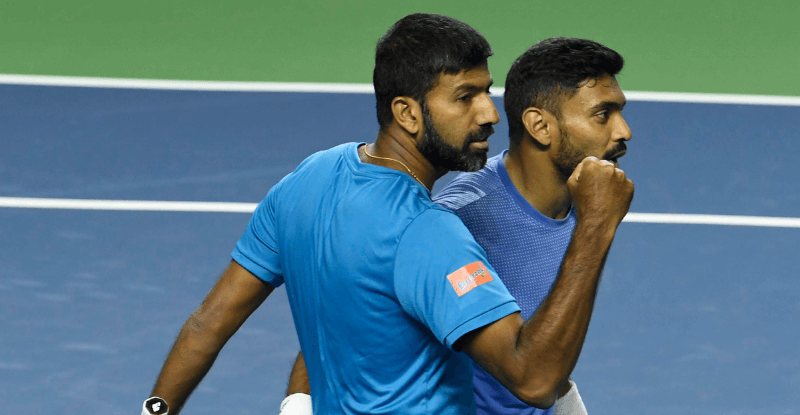 Doubles pair of Rohan Bopanna and Divij Sharan secured their passage through to the Semi-Finals beating the Indo-Mexican duo of Leander Paes and Miguel Angel Reyes-Varela in three sets 6-7(4), 6-4, 17-15 held here at the Mhalunge Balewadi Stadium on Thursday. 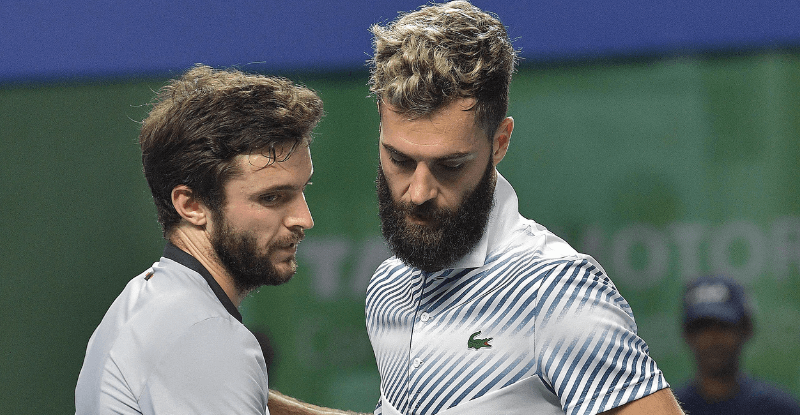 Defending champion Gilles Simon also came back from a set down to seal the all-French affair beating Benoit Paire 3-6, 7-6(4), 6-4 in the last match of the day. 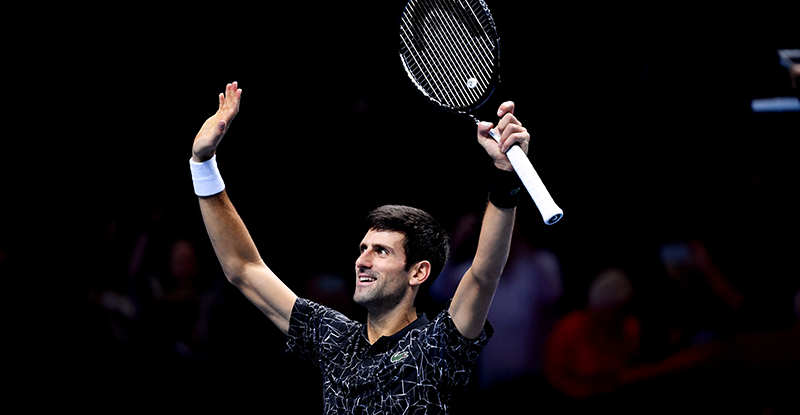 He will now meet top-seed and World No. 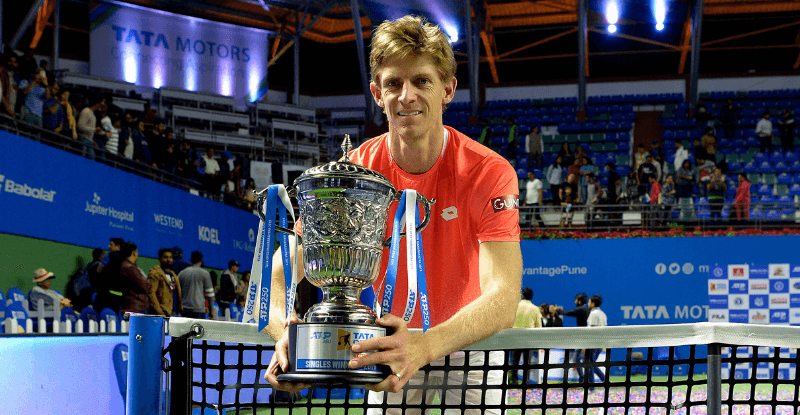 6 Kevin Anderson in the second semi-final after the South African eased past seventh-seed Jaume Munar in straight sets 6-3, 6-3. Bopanna and Sharan came in to the Quarter-Finals on the back of an easy 6-1,6-2 win against Radu Albot-Malek Jaziri. 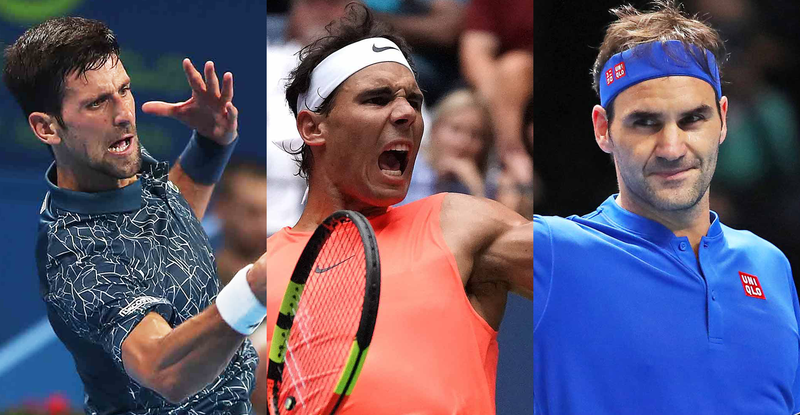 However, the unseeded pairing of Paes and Reyes-Varela gave the top seeds a tough outing taking the match into the super tie-break in what was the most exciting match of Day 4. 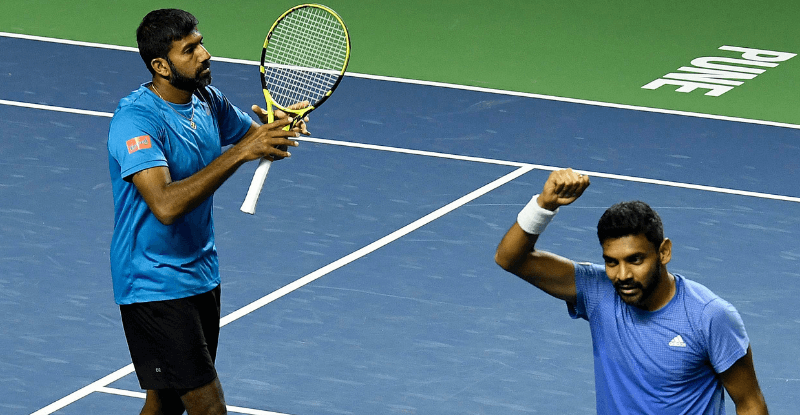 While Paes-Reyes-Varela secured the first set 7-6(4), Bopanna and Sharan’s pair fed on the former's serves to take the match to tie-breaker winning the second at 6-4. The top-seeds lived upto their billing saving six match points and seal the decider 17-15 in a thrilling tie played for one hour and 45 minutes. 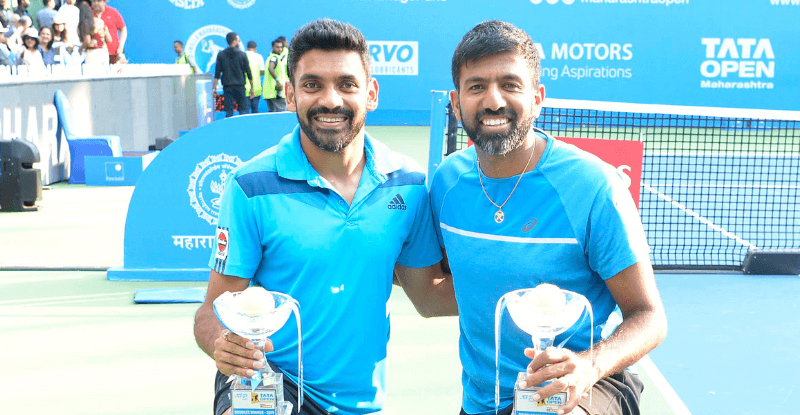 "It was a very competitive match but I think our experience of having played together for a reasonable period of time helped us in getting past the finishing line,” said Bopanna after the victory. 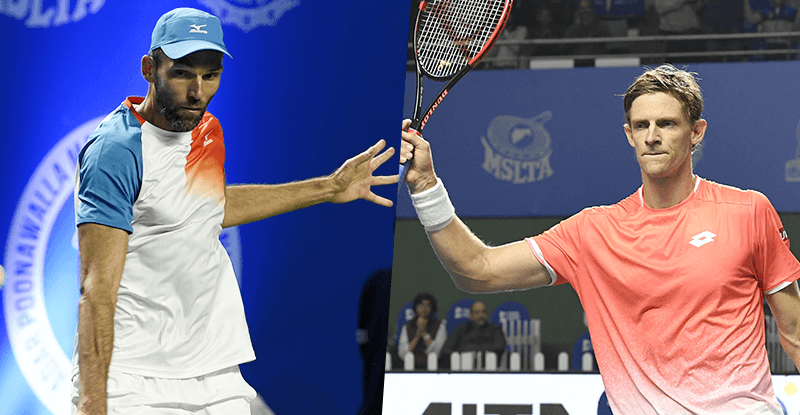 In the other half of the quarter-finals draw, Belgium’s Steve Darcis sprung a surprise with a win over fourth-seed Malek Jaziri in straight sets 7-5, 6-2. Serving 25 aces, 39-year-old Ivo Karlovic went past World No. 95 Ernests Gulbis in straight sets 7-6(5), 7-6(5). 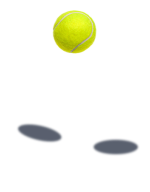 Darcis and Karlovic will now play each other in the first Semi-Final of Day 5 on Friday. 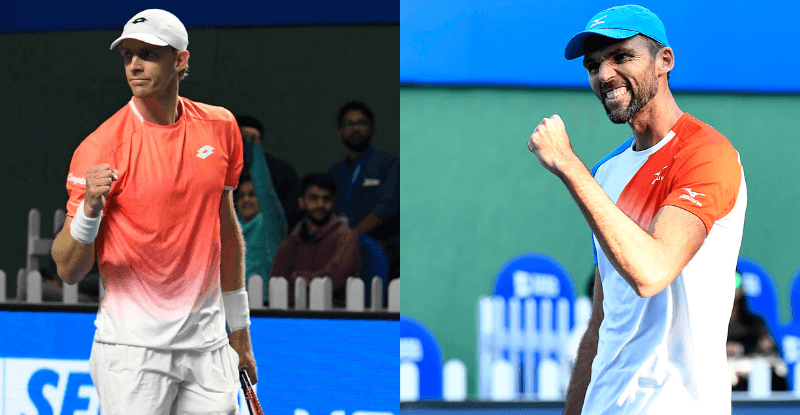 Earlier in the day, it was the Italian-Croatian pairing of Simone Bolelli and Ivan Dodig beat the German pairing of Kevin Kraweitz and Andreas Mies in straight sets 6-2, 6-4 to set up a Semi-Final meeting with the top-seeds Bopanna and Sharan, the first fixture on Friday.